Krilo fast ferry lines will be available from the April 1st in Dubrovnik Travel Corner Shop! Yes the winter is here, but Kapetan Luka – Krilo Fast Ferry Company is getting ready for the summer season 2019. Boats are being prepared in shipyards and there will be some brand new ferries introduced on the most popular lines like Split–Dubrovnik –Split. We will keep you updated with information on new ferries that are being built and will be introduced on Krilo Star line. 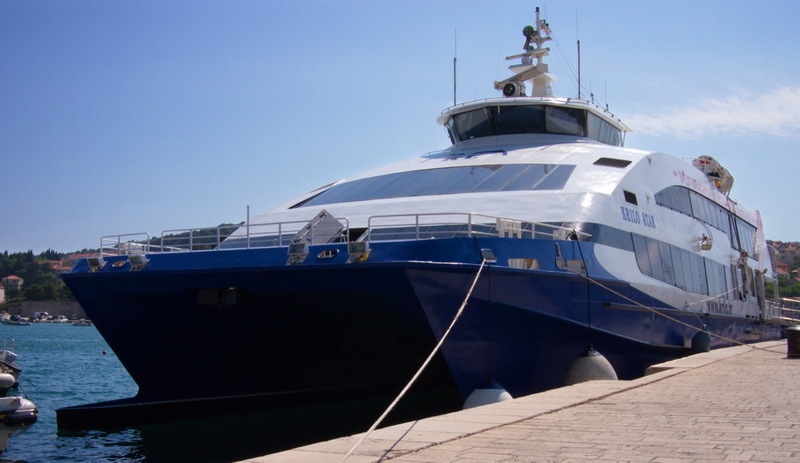 The most popular fast ferry connection in Dalmatia between Dubrovnik and Split via Korčula, Hvar, Mljet and Brač islands will be operated by Krilo Star as early as April 8th on daily basis all until the October 20th. Get ready for island hopping from Dubrovnik to Split via Hvar, Korčula, Brač and Mljet islands! Dubrovnik to Split can be reached in a couple of hours! This is especially important as there are often traffic jams on the border crossings in between Croatia and Bosnia & Herzegovina on route the only road connection from Dubrovnik to Split. Thus, traveling by bus From Dubrovnik to Split can take ages. Besides online booking, the ticket sales for all Kapetan Luka – Krilo fast ferry lines will be available from the April 1st in Dubrovnik Travel Corner Shop – Obala Stjepana Radića 40 Dubrovnik – just across from the ferry departure/arrival location. If you like to travel without plans, no Problem. Dubrovnik Travel Corner always has availability for last minute bookings. Hustle free. It is good to know that Dubrovnik Travel Corner offers luggage storage so drop off your suitcases with us and relax on the beach or keep exploring Dubrovnik. Get ready for island hopping from Dubrovnik to Split via Hvar, Korčula, Brač and Mljet islands!